He’s the normally super-cool artistic director of Hull-based Ensemble 52 Theatre Company but his latest project is seeing Andrew Pearson remind us all of a turbulent and red hot part of recent history. 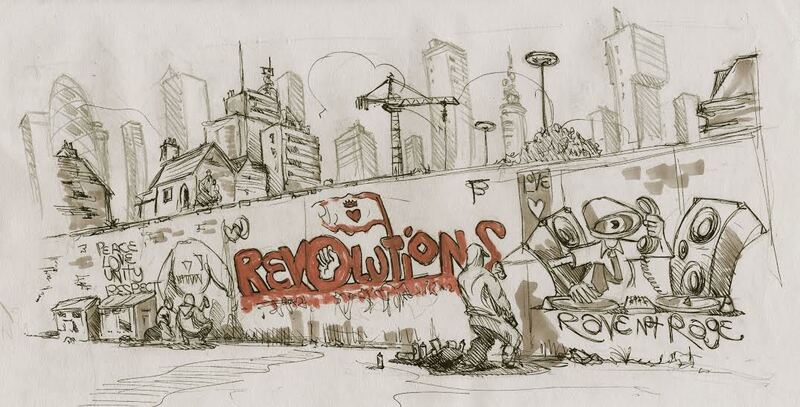 Revolutions is the latest work to spring forth from the pen of playwright Dave Windass, harking back to the year of 1989 when the Berlin Wall came down, Tiananmen Square was rocked by riot and Romanian communist dictator Nicolae Ceausescu was overthrown and the UK said hello to rave. Fortunately he didn’t have to do much research about the historical period that the production covers because it comes from a period that he already had an interest in and also had its brainchild in a previous production by Ensemble 52. “We did a production called Euphoria a few years ago which took place around lot’s of different units in the fruit market area and it was about the history of club culture and the one that did really well which seemed to gravitate more towards people was the one that covered 1989. We then moved on to the potential of the production being educational as well as entertaining, he says: “I think there will be an element of that but it’s certainly not going to be a history lesson, the work that we do we try and provide a stimulus so that people might want to go away and research that subject, so I would like to think that people will come and be entertained and we’ll maybe peak interest in that period and people will go away and look back at it. We then spoke about what sort of legacy the production could leave and whether what happened in 1989 could happen all over again, the ace director replied: “In some ways I think we’re always in a sort of state of revolution but when things get to a critical mass it becomes more obvious like we had the Arab Spring a couple of years ago. With just two weeks of rehearsals to get everything right cast and crew don’t have any time to play with before opening at Freedom Festival and then moving onto Hull Truck Theatre but I can’t help but think this production will be a massive winner.